The ​new ​Port-A-Fort grenade is now available in the Fortnite: Battle Royale Patch 3.5, which went live Wednesday. Epic Games had teased the weapon earlier this week. Now, the details are available in the ​patch notes. The Port-A-Fort has an epic rarity and drops in stacks of one, while the player's inventory can stack up to five. Once thrown, a three story fort made of metal is instantly created on impact. The floor level is 1x1 with a door and the interior is filled with tires so that players can get to the roof faster. The player's resources appear to be untouched in the process. 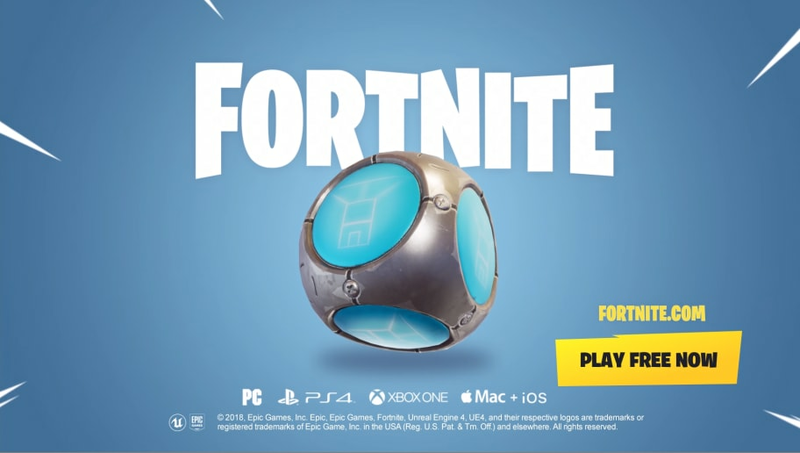 The new item is a throwable grenade that dispenses a large fort within seconds, making the new base out of metal. Previously, players fortified by building quickly, which costs both time and resources. To fortify effectively, players would need to work fast, building higher and higher as they get shot at. The Port-A-Fort could be an answer to the meta the ​recently added guided missile has created. Patch 3.5 will also bring back ​the popular, limited time 50-vs-50 mode in some form, though it isn't live just yet. Epic Games wrote the LTM is "coming soon."